What is the Paris agreement? 6 fast facts. - POINT - The easiest volunteer app, everrr. Today at 3pm, the President of the United States will be announcing their decision on whether or not to remain bound by the Paris Agreement. Alternatively known as the Paris accord, here are 6 facts to know in the hopes of learning more and being able to then educate others. 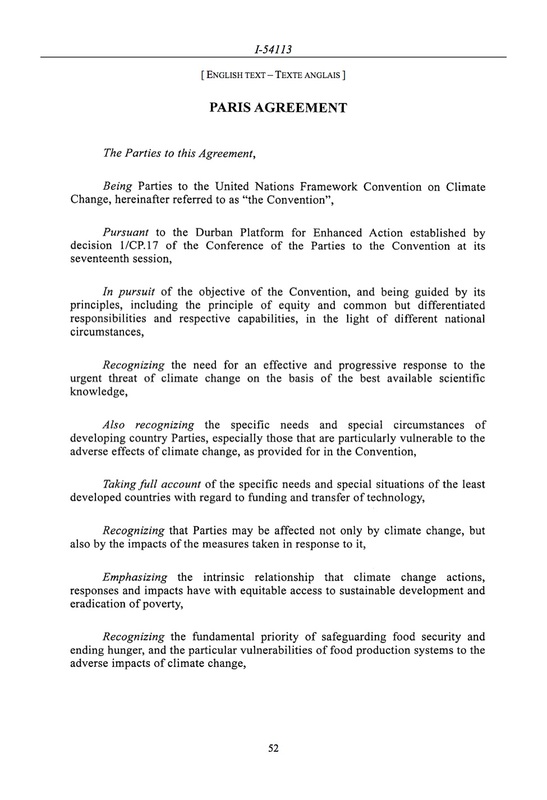 The Paris Agreement treaty has been signed for approval by a majority of the members of the United Nations. Here is the entire list. Summary: If you don't have your time on your hands at the moment, the Paris Agreement is a treaty of nations across the world agreeing that climate change is scientifically based as being exacerbated by worldwide carbon emission, with the intent for participating countries to assign goal levels of national emission reduction in the hopes of slowing the dangerous warming of the planet. The treaty was introduced, as the name signals, in Paris, France in 2015. The Agreement had been open for signature at the United Nations headquarters in New York until last month. The performance of duties of the accord are to occur in the participatory nations, for the greater benefit of the globe. It is the responsibility of participating nations to determine their contribution goals and account for them. "The mechanism to facilitate implementation...shall consist of a committee that shall be expert-based and facilitative in nature and function in a manner that is transparent, non-adversarial and non-punitive. The committee shall pay particular attention to the respective national capabilities and circumstances of Parties." (Paris Agreement, Article 15, p. 70). Thanks for taking the time to learn with us about the origin of the current climate conversation. P.S. 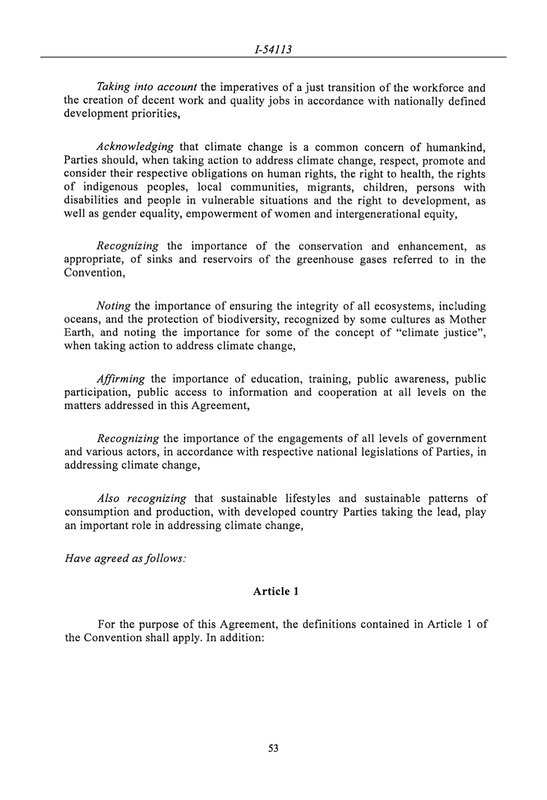 Click here for entire the Paris Agreement PDF.